There is nothing to say really, the images say it all. USA’s 4th largest city drowned by 4 feet of rainfall. India and Bangladesh are also experiencing catastrophic flooding. Millions of people’s homes and livelihoods are at stake and this is just the beginning. Once in a 1000 years weather events are now happening regularly, crisis is the new normal. This is no joke and it is not an overstatement to call it an emergency, or as JH Kunstler calls it The Long Emergency because we are going to be facing these challenges long into the future. These super storms are pushed into overdrive by the warmer sea waters. Warmer seas = more energetic storms. This is climate change and there is much more like this and more to look forward to, this problem is not going to go away until we have applied a great deal of effort over a great deal of time. We really must act and to be able to act effectively, we are going to need a really good plan. The Paris Accord gives us the targets we have to aim for but gives us no idea of how we are going to get there. The best responses to face such future uncertainty are not immediately apparent and also what ever we come up with we are also going to have to be able to afford. Climate change adaption and mitigation have to become central to our thinking in all that we do. It will take long term planning and a clear strategy to enable communities to co-ordinate their efforts effectively. I am convinced the permaculture design is the framework we can work around to achieve these aims and we here in Mid Wales we are planning to work across our community produce a realistic vision for 2050 and how we might get there. The targets the nations of the world signed up to kick off in 2020, meaning the race to implement our plan begins in earnest, whilst we must prioritize building the tools and training the people to implement it. One School One Planet are proposing a community wide permaculture plan that allows us to build a vision for 2050. 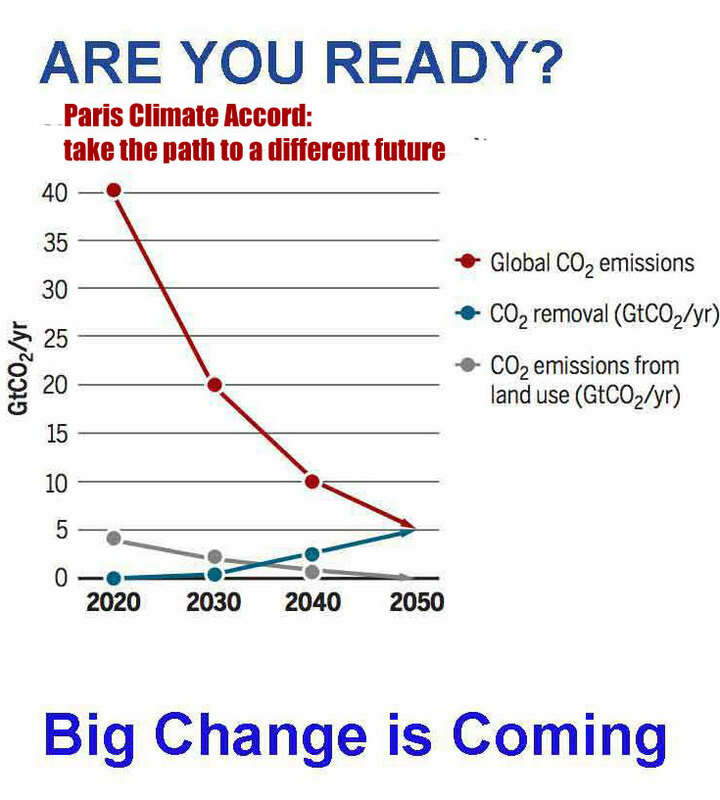 2050 because that is the Paris Accord target date to be carbon neutral and on our way to a carbon negative economy. Doing this by 2050, we are reminded still only gives us a 66% chance of avoid climate breakdown and catastrophe, we have to do a lot better really.